1. What is a TENS? TENS stands for Transcutaneous Nerve Stimulation. Using a handheld, battery-operated device, mild electrical impulses are transmitted through the skin to stimulate nerve fibers. TENS is a safe non-drug method of pain control for backache in labor. 2. What is the purpose of TENS in labor? TENS is used in labor to reduce back pain while allowing the laboring woman freedom to move and walk. 3. Why does TENS work? TENS was developed as an application of the Gate Control Theory of Pain, formulated by Melzack and Wall. This theory states that the awareness of pain can be reduced by increasing pleasant or innocuous stimuli travel to the brain faster than pain stimuli do, and therefore close the “gate” to the pain. 4. Does TENS work? Research findings on TENS have shown that laboring women using the device use less pain medication than women using a “sham” TENS device. The majority of women surveyed in the National Birthday Trust Survey (Chamberlain et al, 1993) rated it as moderately or very helpful in relieving pain, and would use it again in a future labor. A study that investigated the use of TENS for back pain in labor found that “Tens has a specific beneficial effect on pain localized in the back.” Another study also found relief of back pain with TENS. 5. How long and where has TENS been in use for labor? TENS has been uses since the mid 1960’s. 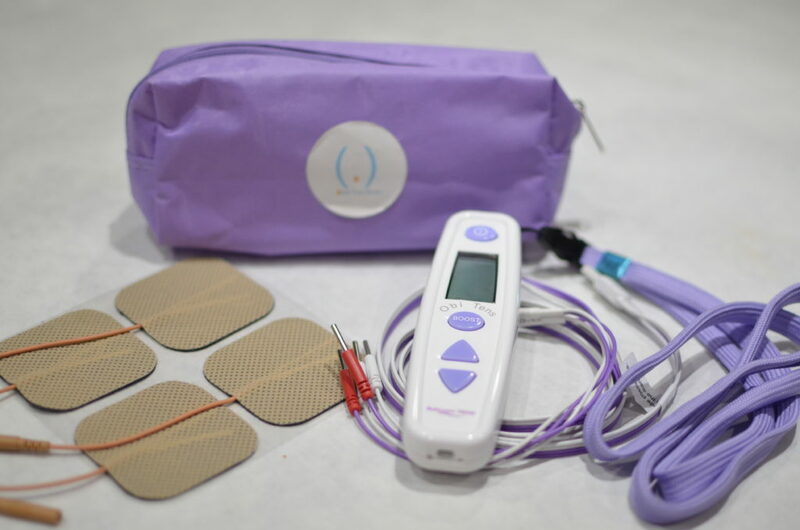 It is widely used in Great Britain, Australia, and Canada, where women can rent or borrow a TENS unit to use from early labor at home for as long as they want. 6. What are the advantages of TENS? The laboring woman controls the TENS unit herself. She remains clear-header and can walk and moved freely. TENS can be used with other comfort measures and may help to postpone or avoid the use of an epidural. There is no reported harm to mother or baby as a result of TENS use. 7. What are the disadvantages of TENS? TENS is less effective than an epidural. Some women do not find it at all helpful. It must be initiated early in labor to be effective. It cannot be used in the bath or shower. 8. Who should NOT use TENS in Labor? TENS should not be used in the absence of labor before full term (37 weeks). It should not be used on inflamed or injured skin or over a rash (psoriasis or eczema included). Women with a seizure disorder or a demand-type cardiac pacemaker should not use TENS. 9. What precautions should be observed when using TENS? The TENS unit should not be placed in water or near high heat. It should not be dropped on hard surfaces or used near flammable gas. It should only be used with specified stimulating pads placed on the body as directed. You can rent your own labor and delivery TENs unit from Birth You Desire ®.